Thus far in introverted parenting week we have been hearing from the perspectives of introverted parents. Today we turn to suggestions for parenting introverted children. Susan Cain is the author of the forthcoming and much anticipated book QUIET: The Power of Introverts in a World that Can't Stop Talking. Guy Kawasaki, who achieved rock-star status as the "chief evangelist" at Apple, has already guaranteed that the book will be a bestseller. 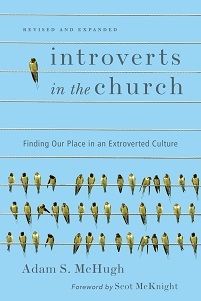 Susan and I attended a service at Saddleback Church a few summers ago, and our introverted adventures are detailed in her book. It's not one you want to miss, and you can get the best price by pre-ordering it. She has a popular bog called The Power of Introverts and she is also on Twitter. Trust me, you'll be hearing a lot more about her in the next few years. 1. Don’t just accept your child for who she is; treasure her for who she is. Introverted children are often kind, thoughtful, focused, and very interesting company, as long as they’re in settings that work for them. 2. Introverted kids usually have the capacity to develop great passions. Cultivate these enthusiasms. Intense engagement in an activity is a proven route to happiness and well-being, and a well-developed talent is a great source of confidence. Traditional childhood activities like soccer and piano may work well for some kids, but don’t forget to look off the beaten path. For example, Writopia Labs is a New York City-based creative writing program that has created a fantastic community for cerebral kids. I've written about Writopia here. 3. If you’re an introvert who feels ashamed of your own personality traits, this is a good time to seek therapy or another form of counseling. Do it for your child if not for yourself. He will pick up on your own poor self-image, and also its inevitable projections on to him. If you can’t afford the time or money for therapy, here’s a simple way to change how you feel about yourself: consider that the things you dislike in yourself are usually a package deal with the things you like best. For example, Elaine Aron, author of The Highly Sensitive Person and herself an introvert, says that her husband has always seen her as creative, intuitive, and a deep thinker. 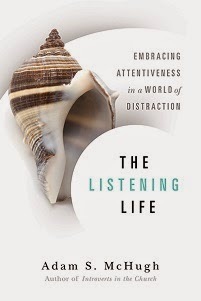 Aron had been aware of these traits, but says she used to see them merely as “acceptable surface manifestations of a terrible, hidden flaw I had been aware of all my life.” It took her years to understand that the sensitive introvert and the deep thinker were one and the same person. 5. If your child is reluctant to try new things or meet new people, the key is gradual exposure. Don’t let him opt out, but do respect his limits, even when they seem extreme. Inch together toward the thing he’s wary of. If it’s the ocean waves, for, example, approach at his own pace. Let him know that his feelings are normal and natural, but also that there’s nothing to be afraid of. When he takes social risks, let him know that you admire his efforts: “I saw you go up to those new kids yesterday. I know that can be difficult, and I’m proud of you.” Point out to him when he ends up enjoying things he thought he wouldn’t like or that he was initially scared of. Eventually he will learn to self-regulate his feelings of wariness. 7. Get to social events, like birthday parties, early. Let your child feel as if others are joining him in a space that he “owns,” rather than having to break into a preexisting group. Similarly, if he’s nervous before school starts, bring him to see his classroom, meet his teacher, figure out where the bathroom is, and so on. 8. Teach her to stand up for himself. It’s best to start young, if you can. If she looks distressed when another child takes her toy, take her aside afterwards and teach her to say “stop” in her loudest voice. Practice saying – shouting – STOP. Make it a game. Be light about it, while letting her know that you understand her feelings. 10. Respect your child’s desire for time and space to play alone.